On September 24, 2017, several Hapinoy Negosyantes gathered to celebrate the 10th anniversary of Hapinoy. It was a time of reminiscing the past decade of successes and learnings, but most especially, it was a time of looking forward to what is ahead. TJ Agulto shared his experiences in Hapinoy in the past years as MVF's Executive Director. Hapinoy Negosyantes actively participated during the Human Bingo game. Excitingly, it also became a venue to meet the old and the new members of the Hapinoy community. There were games, group presentations and activities that encouraged every Hapinoy Negosyante to interact and get to know each other. One of the highlights of the event was the implementation of the business cell modules. Relatively new to this concept, Hapinoy Negosyantes were plugged in to a group to work on different getting-to-know activities. These activities included drawing, sharing and presenting representation of their selves, values, and dreams. 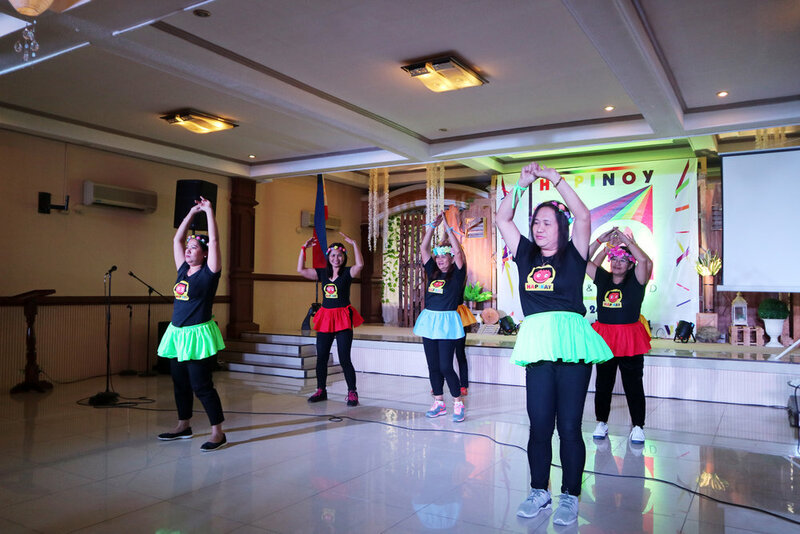 Pioneer Hapinoy Negosyantes from Quezon showcased their dancing skills. All enjoyed this activity. Laughter filled the room. Rich conversations were in every group. Everyone met a new person. It was a picture of Samahang Hapinoy – being, learning and growing as one community.